Please contact us at edunomics@georgetown.edu for accessible versions of the meeting resources. ESSA requires SEAs to report school-by-school spending.Taking Stock as SEAs Begin Releasing Data. In this webinar examine early state releases of school-by-school expenditures in those states where data are now available. We shared how leading states are incorporating financial transparency data in school and district report cards. Edunomics will assess what can be learned from these early adopters and applied to states that plan to publish in late 2019 or early 2020. This meeting features an overview of recently-released (March 28, 2019) ESSA report card guidance that features a 10-page section on school by school spending reporting. We also spend some time answering questions from SEAs. This meeting reviewed existing state report cards that include school by school spending data and encouraged states still in the developing stages to learn from existing examples. We also spent some time at the end discussing the answers to state questions. If you'd like access to the recording, please email Katie.Hagan@Georgetown.edu. This meeting focused on transparency initiatives in other public sectors and what we can learn from them to apply to financial transparency. We had a guest speaker - Chris Adams from Balancing Act - share his expertise and research on the topic. We experienced technical difficulties during this webinar and therefore do not have a recording. This webinar provides an overview of the recently-release WA state report cards which include school by school spending data. We also do some tracking on state visualization plans and answer state questions about pre-k spending, charter schools, and indirect costs. During this presentation, we shared the details of a recent collaborative project with the NV State Education Agency and Clark County School District related to financial transparency. We spent several of the last few meetings collecting information on states across various categories, so we put it all in a tracker and reviewing it with the SEAs on the call to allow them to see what their peers are working on and make any corrections. Resource Allocation Reviews – Part 2! Six months after reviewing this policy with FiTWiG, we revisited the topic of resource allocation reviews within ESSA to remind the group of the connection between that ESSA policy and the financial transparency reporting requirement. In this office hours session we heard from CO, ME and UT about private dollars, measuring ROI for schools, and visualization examples embedded in report cards. We also did some minimal state tracking updates on commonly asked questions. Visualization is increasingly important to states as they consider how this data will be used by stakeholders. This webinar lays out a framework to consider when designing visualizations, and reviews actual examples of financial transparency displays against the framework. In advance of this meeting, NJ asked how many states were planning to allow some LEA choice in school spending recording (vs following prescriptive SEA rules). We also covered ways in which SEAs can account for shared services across districts, and how SEAs are planning to capture the data. Katie provided an update and overview of the STATS DC conference, then MI, NJ, and MT posed questions to the group about supplement not supplant, reporting by federal grant codes, and budget transparency in relationship to expenditure transparency. We also went over a state tracking update. We shared some recent communication research focused on the financial transparency requirement and then applied the research to some real examples from state and district communication. 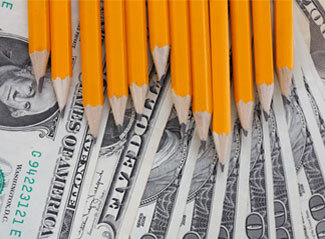 Greater resource equity is probably the most talked-about use of school level financial data. In this webinar, we explore seven kinds of analyses districts can do right now to examine whether resources are allocated equitably within districts, and if not, what might be causing the inequity. Many states that did not already have access to school level finance data needed to put into place new procedures and policies in order to gain access to a reliable data set. Those policies and procedures were referred to as data plans in the FiTWiG and this webinar reviews some best practices to keep in mind when drafting and publishing a data plan. Edunomics created a checklist for the various moving pieces SEAs need to accomplish before the data is public. This webinar walks through the checklist and solicits state input. Office Hours usually do not have any particular topic or structure. Instead, states are asked to submit their own questions or comments for discussion amongst themselves. In this office hours session, we review some common mistakes in state data plans, check in on exclusions, and discuss some special case scenarios like pre-K and special education spending. ESSA includes a few requirements related to resource allocation, and this meeting explored the requirement on the SEAs to review resource allocation in districts that serve significant numbers of schools identified as needing improvement. The webinar lays out a framework for states to use to begin planning these reviews. At the time of this meeting, Edunomics had received a lot of questions about where states were on particular aspects of meeting the requirement. We spent the first portion of the meeting going over some state tracking questions, such as enrollment counts and data plans, and then used most of the rest of the meeting to review whether and how to allow LEAs make decisions around what expenditures get coded and at what level (site vs. site share of central). This webinar covers a few different topics, but the main content is on how to do data validity checks to ensure SEAs receive accurate data from LEAs. We also covered some state check-ins on the IFR and data plans and shared some early findings from communication research. Office Hours usually do not have any particular topic or structure. Instead, states are asked to submit their own questions or comments for discussion amongst themselves. In this office hours session, CA, IL, and TN pose questions for the group. CA asks about how to meet FT requirement from a charter school context, IL asked about media outreach and coverage, and TN requested info from states about data collection and storage. We ended the conversation by checking in to see how many states are on track to aligning data with the IFR. Ary Amerikaner from the Education Trust (and formerly of the Obama administration) shared how advocacy groups plan to use the per-pupil expenditure data to advance equity agendas in the coming years. To kick off the year, we spent the meeting reviewing some key potential tasks and highlights from the prior year of meetings, with specific to-dos for both new states and “veteran” states. This video also has a high-level overview of the IFR and details for the in-person meeting. Office Hours usually do not have any particular topic or structure. Instead, states are asked to submit their own questions or comments for discussion amongst themselves. In this office hours session, states sent questions about how to: code school nutrition expenses, handle payments to regional centers/service centers, and account for outlier expenses. Over the course of a year, FiTWiG members created the Interstate Financial Reporting (criteria) that, if met, will enable cross-state per-pupil expenditure data comparisons, and guarantee a high quality of data in each individual state. This webinar is one of several that go through the IFR in its entirety but is different from others in that it is the most finalized version. For a document version of the IFR, please go here. Melissa Junge and Sheara Krvaric from the Federal Education Group (PLLC) join the Edunomics Team to share insight on the relationship between ESSA’s financial transparency requirement (FT) and the supplement not supplant (SNS) requirement. Melissa and Sheara highlight the differences, but also explain how states can, if they would like, use FT to meet SNS. Marguerite and Katie spend the first half of this call reviewing some key concepts and checking understanding of the group around some high level elements related to meeting the financial transparency requirement. The second half of the call is focused on lessons learned from Illinois, specifically related to the internal advisory group the state is convening to meet the requirement. Office Hours usually do not have any particular topic or structure. Instead, states are asked to submit their own questions or comments for discussion amongst themselves. In this office hours session, states gave updates on their own progress and brought several challenges to the group. We covered what is in the law (requirements), how states are addressing debt service and other potential exclusions, and whether or not to include pre-k. This is another in a series of webinars exploring the IFR (criteria). Over the course of a year, FiTWiG members created the Interstate Financial Reporting (criteria) that, if met, will enable cross-state per-pupil expenditure data comparisons, and guarantee a high quality of data in each individual state. This webinar focuses exclusively on included vs excluded expenditures, and how states can think about costs shared across schools. For a document version of the IFR, please go here. In this webinar, we share the results of a survey given to all FiTWiG members, tracking progress on key elements that may help states meet the FT requirement (accounting tools, working groups, communication efforts, data analyses, reporting, training, etc.). 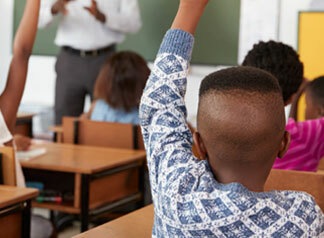 It’s widely assumed that the FT requirement will create greater awareness around equity patterns within school districts. In this webinar, we explore the various ways in which states can think about their role in conducting, or preparing districts to conduct, these types of analyses. This is second in a series of webinars exploring the IFR (at this point it was referred to as common reporting standards). Over the course of a year, FiTWiG members created the Interstate Financial Reporting (criteria) that, if met, will enable cross-state per-pupil expenditure data comparisons, and guarantee a high quality of data in each individual state. This webinar is one of the first, so the focus is on collecting feedback from participants about the various elements laid out as potential standards or criteria. Office Hours usually do not have any particular topic or structure. Instead, states are asked to submit their own questions or comments for discussion amongst themselves. A number of states sent questions in advance, and the majority of the discussion revolved around the role of the state agency in setting (or not setting) rules around LEAs coding expenditures to school or central levels. The Edunomics Lab developed a tool that states can use to meet the financial transparency requirement using the NCES School Level Finance Survey (SLFS) and the School District Finance Survey (F-33). Watch this webinar for a demonstration of the tool, and hear feedback from the state of Michigan, who sampled the tool in advance of the webinar. The first part of this webinar serves as an introduction to the FiTWiG to new members, reviewing the law and the related elements (or lack thereof). We also cover the School Level Finance Survey at the end of the webinar for those who are interested in learning more about it. OH and MA presented their efforts around creating school level spending data visualizations. Both interacted with stakeholder groups to do so, and shared those lessons with the FiTWiG. What does (or doesn’t) your visualization tell you? This webinar presents states with a series of visualizations and asks participants to evaluate each against a specific set of questions. The intention of this webinar is to expose states to various types of data visualizations that exist around per-pupil expenditure, and get states thinking about how/if their own initial thoughts on visualization differ after reviewing the ones in the webinar. A key question since the beginning of exploring this topic has been whose role it is (SEA or LEA) to determine how non-school based (central) expenditures are (or are not) assigned to school sites. Some states take a prescriptive approach and do all cost assignment for districts, while others are less prescriptive and leave it up to districts to determine. ERS developed a tool that can help districts with some of these decisions, if it’s left up to the LEAs. We spent the past couple of meetings reviewing some sample data outputs to consider what states want the financial transparency data to be able to do/answer, specifically in hopes to reach some consistency across states on a bare minimum collection that most could follow and build on if needed. In this meeting, we take that feedback and attempt to consolidate it into a strawman. States provide helpful feedback. This webinar is a slight repeat of the one on April 7, with some additional time and prompting built in to solicit state feedback on the initial concept of creating general criteria states can use when collecting and reporting data. This webinar focuses on the development of common reporting standards among working group states to facilitate data comparisons across states. We walk through the potential goals states may have for reporting school level expenditure data, and then run some numbers from actual states to demonstrate priorities expressed by states in prior meetings. The data is presented in various levels of detail, and a discussion is had about the limitations of data at that level. Need Data Now – How good is good enough? The focus of this meeting was on how states that still did not have access to school level data could begin getting data needed to run early analyses. There was a particular urgency around this meeting because it was before the Department of Education issued a one-year extension for states to meet the requirement. States were previously operating under the assumption that they had to have a plan in place by August 2017. The webinar outlines three ways that states can go about obtaining needed data, and highlights the benefits and potential drawbacks of each. Office Hours usually do not have any particular topic or structure. Instead, states are asked to submit their own questions or comments for discussion amongst themselves. For this particular office hours, we provided an update on the logistics and future of the working group.